If you are looking at quitting smoking, there are a variety of ways you can go about it. From the tried and true, to the more unusual. 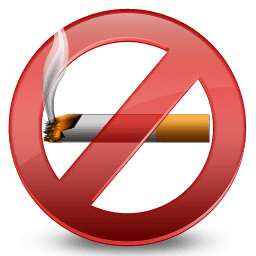 In this article, we are going to look at the unusual ways that people have quit smoking for good. 1. Take advantage of the small victories. People too often make the commitment to quit for good and that is the only goal they have. That goal is too far away and the only way to achieve it is to never smoke again until the day you die. That is the end goal yes, but the immediate goals should be to stop smoking for a day, then two days, then a week, then two weeks, then a month, and so on. 2. If you tend to smoke after every meal, the natural course of action is to simply stop eating as many meals. This is the wrong way to go about it. Skipping meals will give you hunger-anxiety and this will just add to the problem of going through withdrawal. All you are doing here is creating a situation where you will fail. One common side effect of stopping smoking is weight gain. You can still eat but don’t eat more to compensate for the loss of nicotine. A good alternative is to drink as much juice as you can, especially cranberry juice, which removes alkaloid nicotine from your body. 3. The worst part of quitting smoking is the cravings. They will be very hard to ignore and you may fail because of them. Your body is expecting nicotine and when you don’t give it nicotine, it is going to let you know it is not happy. These cravings will often come from triggers and many will tell you to avoid the triggers. Don’t avoid the triggers. You need to rewire your brain so that those triggers do not make you crave nicotine. Face your triggers head one, embrace them and push them away over time. 4. Carry a watch with you at all times. It has been proven that quitting nicotine can cause problems with how you judge time. When you suddenly go through a craving, a five minute craving can seem like it is taking an hour. Keep a watch on you at all times so you can tell the time and know that it really isn’t as long as you think it is. 5. Cut down on the caffeine. It has been found that nicotine doubles the rate by which the body depletes caffeine, With no nicotine, you will suddenly find your body is not depleting the caffeine and you will have a supercharge of caffeine to the system. This will make you jittery and give you trouble sleeping. So cut down the coffee drinking to keep this from happening.